Kazuko was born and raised in Japan. Growing up with four generations of her family under one roof taught her the essence of touch at an early age. She has been practicing massage therapy since 2006 after graduating from The Lauterstein-Conway Massage School. She completed over 850 hrs. of training including advanced clinical work as well as Shiatsu and Zero Balancing. She has been studying oncology massage though numbers of webinars, and recently completed oncology massage training with Tracy Walton and associates. 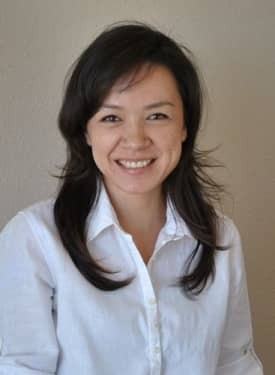 In her private practice, she specializes in stress and chronic pain relief by promoting deep relaxation in clients’ body and mind to enhance their body’s ability to heal itself. She is a faculty member at The Lauterstein-Conway Massage School since 2009.